Leon Trotsky was the charismatic intellectual of the Russian Revolution, an authoritarian organizer, who might have succeeded Lenin and become the ruler of the Soviet Union. But by the time the Second World War broke out he was in exile, living in Mexico in a villa borrowed from the great artists Diego Rivera and Frida Kahlo, guarded only by several naive young American acolytes. The household was awash with emotional turmoil - tensions grew between Trotsky and Rivera, as questions arose over his relations with Frida Kahlo. His wife was restless and jealous. 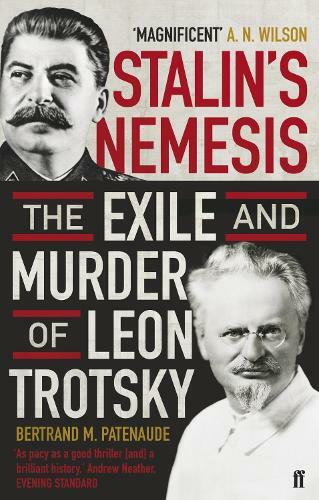 Outside of the villa, Mexican communists tried to storm the house, the Trotskys' sons were being persecuted and killed in Europe, and in Moscow, Stalin personally ordered his secret police to kill his fiercest left-wing critic - at any cost. By the summer of 1940, they had found a man who could penetrate the tight security around the house in far-away Mexico . . . Bertrand Patenaude's book reconstructs a famous state crime with chilling precision and a page-turning quality. It tells the amazing story of a deadly rivalry, revolutionary fanaticism and tragic violence and loss.